I realize this is slightly off topic for a blog about the writing of fiction. No book that I am aware of comes with a soundtrack (though I read that this might become an e-book app in the not-too-distant future). 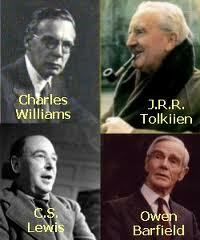 But I have found myself listening to the soundtracks of Lord of the Rings while writing the Alliance trilogy. I wrote yesterday in Left Coast Voices that I can write anywhere, anytime, and I believe it to be so. Nonetheless, I realize that I do listen to music in the context of the book I am writing. A Gardener’s Tale was written with the music of Lloyd Cole in my ears, The Accidental Activist was written to Billy Bragg, and I just wrote a beat-era novel listening to jazz music. But I want to pay tribute to the Lord of the Rings soundtracks (one for each movie). They are truly brilliant, truly inspiring. While I believe I can write anytime, anywhere, I am thankful that the music of Howard Shore together with Enya or Annie Lennox, who can simply transport me into the land of Odessiya (home of the Alliance series). I fantasize when the Alliance series finds a home with a publisher that there is a movie deal for all the reasons that every author shares. But I also fantasize that someone with the talent of Howard Shore will be commissioned to write a soundtrack that can be so transformational in its own right. I’m sure J.R.R. 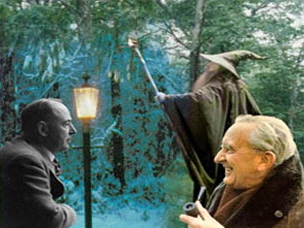 Tolkien is up there in Writer’s Heaven, puffing his pipe, and writing a new epic series (to be published as an ethereal or e-book). Perhaps he has his little white headphones on and is listening to a LOTR soundtrack as he writes.